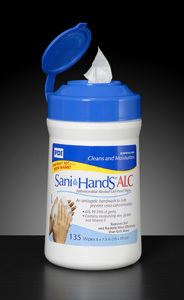 Premoistened towelettes provide more effective hand disinfection than alcohol gels alone. Pop-up tub package for easy use. Contains aloe-based moisturizers and vitamin E to hydrate skin.